Did you know your Mac has built in DTMF tones? It sure does! 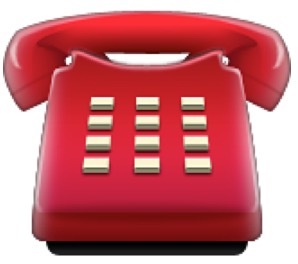 It’s likely part of the ability to make phone calls from a Mac via the iPhone, but putting aside the obvious utility of the tones existence, it’s also kind of a fun retro throwback to the caveman days of using dial tones to make calls. If you want to use one of the tones as a ringtone, text tone, or maybe you just want to relive the glory days of multifrequency signaling, we’ll show you how to access the raw files and play them too. The DTMF tones are buried in a system folder, and all of the standard dual tone multifrequency tones and sounds from the world of telephony are there. The numbers, the star, the pound sign, busy signals, call waiting, all of the greatest hits, just waiting for you to listen. And don’t you worry, we’ve even created a video tutorial demonstrating how to access and play these exciting DTMF tones on your very own Mac. Prepare to be wowed. Is this the most exciting thing you have seen and read in a decade? Of course. Is this particularly relevant to the modern era? Maybe, maybe not, depends on who you are, and what you want to do! Is this useful? OK so probably not for most Mac users, particularly since you can dial and get the DTMF tones with Handoff or Skype, but who cares? It’s kind of fun. Dust off an old copy of 2600 and have some fun! And if you still have a land line, you can actually hold the dial tone up to a computer speaker and dial a number by playing the sounds into the microphone of the phone. Is that thrilling or what? Really, it’s like being in the 1980’s and 1990’s all over again. yes, in the uk as a kid we used to do this in phone boxes and prank call people. I used to do that as a kid because there were some friends where it was easier to do that then wait for the rotary dial to come all the way back around. Now if we could have a dial pad when making FaceTime calls! Alot of times I used it and had to go run and get my iPhone because it was asking to dial 1 or 2 or whatever. You can dial numbers in FaceTime during a call even though there is no dialpad visible by just pressing the corresponding numbers on your keyboard. Be sure that you have FT as the active app first by clicking on it. So the video showing us how to PLAY DTMF sounds had no real audio, just background music… This pretty much made the video worthless. Well it is April Fools so you don’t need to be overly impressed. You can find the DTMF tones on your own Mac anyway. Message is that the file cannot be found. I have tried several times. What year is your Mac from? I got the telephony folder showing in Finder doing the above and now no matter what I have tried, I cannot hide the folder or files. Keeps coming up in Terminal, Operation not allowed. 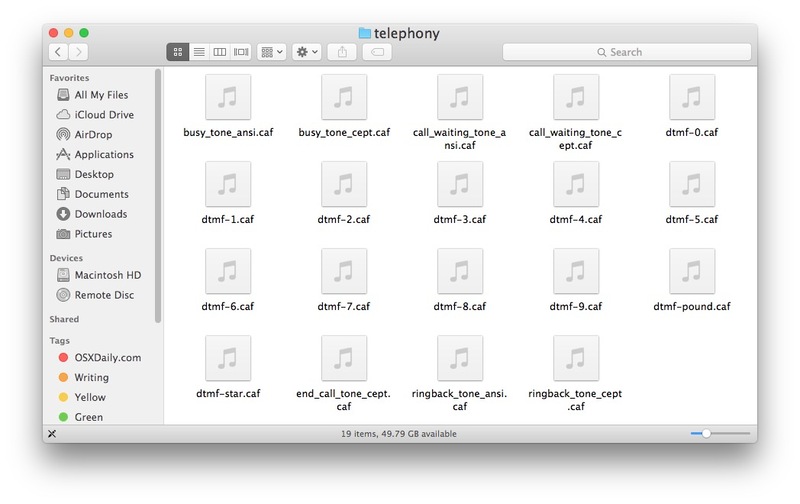 Every time I press the Finder icon the Telephony folder comes up. Sorry I did it. Press the Red button in the upper left corner to close the window. There is zero use of Terminal in this article so who knows what you’re doing, but just close the window. I have been following the instructions from (how to geek.com) Hide a File or Folder on a Mac. Which states first open a terminal window then type chflags hidden. Then drag and drop a folder or file into the terminal window. The path of the file or folder will appear i n the terminal.Press enter to run the command and the file or folder will vanish, so the Finder won’t show it by default. But it doe’s not work. I have tried other methods to hide the telephony folder, which all involve the use of the Terminal but none of them work. Could it be that the folder is part of the system. I have only been using a mac for a short time so it’s all new to me. I don’t understand what you are trying to do. Why are you trying to hide the folder? Just close the window if you don’t want to see it anymore. It is the red button in the upper left corner of the window, that closes it. This is tutorial is about playing sound effects that are sitting in a folder, it has nothing to do with hiding folders or the Terminal or doing who knows what from whatever other website you are reading. Quit the Terminal, would be my advise, it is complicated. Is’nt it just ? There’s always one.